The onset of monsoon calls for delicious savories along with a hot cuppa! I love it. Don't You? For me, a yummy accompaniment with my tea is such a necessity!!! Especially with a lovely weather around. So when i want it to be easy & quick (occasionally healthy too ;) ), i go for something that can be created fast and at the same time something that can tickle my taste buds as well!! So here it is Dry chivda mix, for those days when you wish to enjoy the downpour outside and not spend too much time cooking. Rice Flakes are a good source of Iron & peanuts give intake of protein. Undoubtedly, a perfect nosh with so much nutritive value. Goes without saying, this will be a big Hit! 1. Dry roast rice flakes in a thick pan on a medium flame. 2. Keep stirring the rice flakes till they are crispy. Ensure they do not over cook. 3. 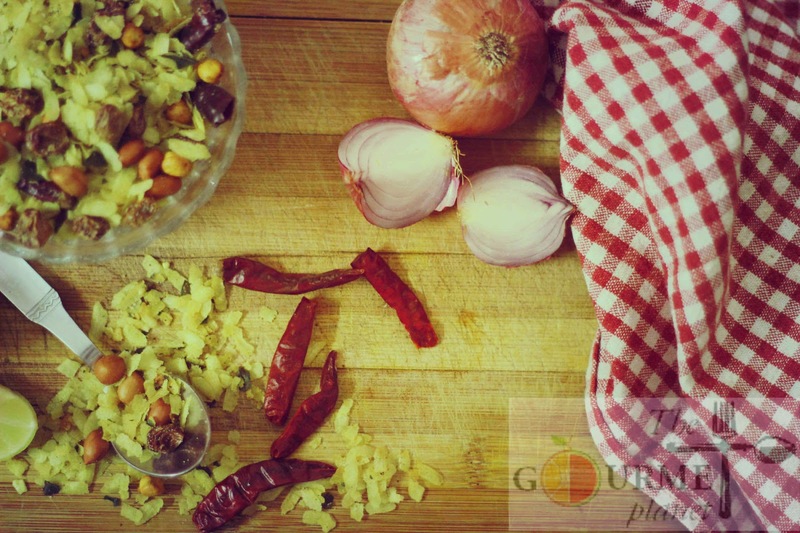 In another pan, pour some Oil and add curry leaves, roasted chana, peanuts, raisins, asafoetida, turmeric and rock salt. 4. Once all are sauteed well add amchoor and sugar. 5. Add the curry leave mixture to the roasted chivda and mix thoroughly, ensuring that all flakes turn yellow in colour. 6. Remove the chivda from the pan and let it cool. 7. Store it in a dry Jar. Welcome to my Culinary World!